We’re excited to participate in two wonderful events next month! The Virginia Mortgage Lenders Association Annual Convention takes place from September 20-21, 2018 at the Hilton Norfolk The Main in Norfolk, VA. The conference will cover pertinent topics that include discussion of best practices as well as latest approaches to today’s lending challenges. It’s a great opportunity to make new connections, find innovative products and services, and gather valuable insights. With keynote speakers and breakout educational sessions to choose from, there’s sure to be many great takeaways! 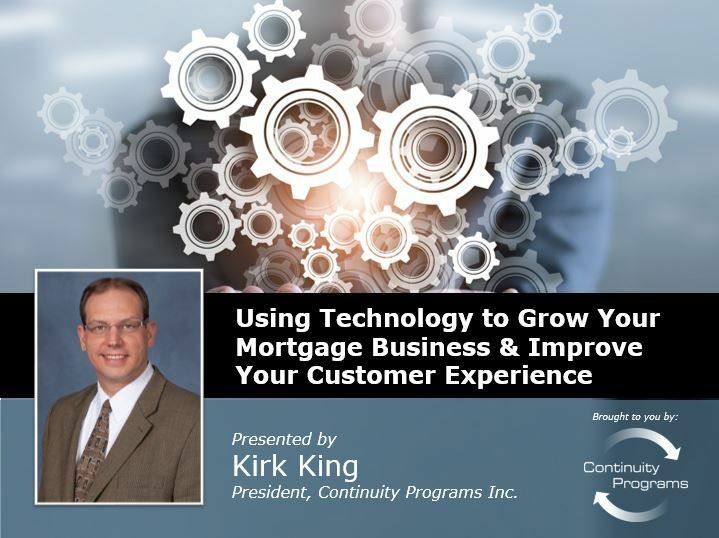 Continuity Programs president, Kirk King will present, “Using Technology to Grow Your Mortgage Business and Improve Your Customers’ Experience” Friday from 10:30-11:20 a.m. In his speech, Kirk will cover exciting ways to grow your mortgage business and improve customer experience with technology. Focus will be placed on helping lenders overcome challenges such as running a client-centric operation, loan officer adoption of software, and automation in a challenging environment. Kirk shares ways for lenders to grow their business using today’s technology and best practices for CRM (customer relationship management) and automated marketing. His impressive sales background, coupled with 45+ years of marketing experience make him the go-to authority on growing a business and increasing revenue. 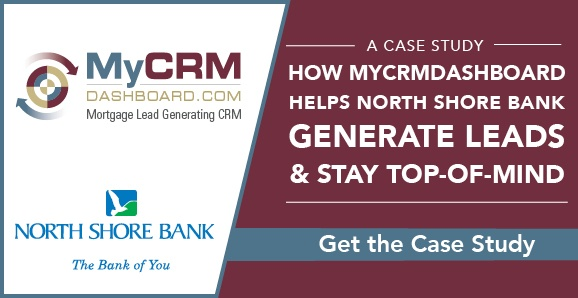 You don’t want to miss this valuable session that’s packed with information on mortgage industry technology, marketing, CRM, and lead generation. King will share best practices that have proven to help lenders gain market share while increasing efficiency and profitability in their organization! The Northeast Conference of Mortgage Brokers and Professionals takes place from September 23-25, 2018 at Harrah’s Resort & Convention Center in Atlantic City, NJ. Kirk King will participate on the Technology Vendor panel on Tuesday from 9:00 a.m. – 12:00 p.m. He will bring a comprehensive view to the topic of customer relationship management. Experts from a title company, LOS software, and IT security software will join him to discuss technology aspects to ensure a seamless, easy process for the customer. Please be sure to let us know if you plan to attend either of these events. We’d be happy to schedule a meeting with you prior to the event, just contact us online or call 800-521-0026.